Face-to-face interaction is the best way to meet people. E-mail and social media can be time efficient, but there is no substitute for a good old-fashioned handshake and the exchange of conversation. You are able to see a person's body language which can tell you a lot about whether the person is interested in what you have to say or not. 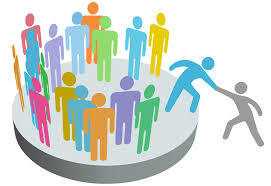 Meet new people at SCCCC's programs and events. Visit the CHAMBER EVENT CALENDAR to view what's coming up. Build your brand - call the Chamber to learn about event and program sponsorship opportunities 610-444-0774. Increased Exposure. As a valued member, your business enjoys increased exposure on the Chamber’s many communications vehicles, including our web site, online and printed Member Directory, social networks, newsletter, eblasts, and more. Networking Opportunities. SCCCC hosts networking opportunities almost every week of the year. Morning, noon, or night, there are chances for you to make connections to grow your business. Professional Development. Informative workshops, programs and seminars designed with your business in mind and to keep you informed of current trends, cutting-edge technology, cost-cutting measures, and more. Gain a Voice. Through the efforts of the Community & Government Relations Committee, we address and support pro-business legislation and regulations on our members’ behalf at local and state levels, while you devote your time to operating your business. Build your Brand. 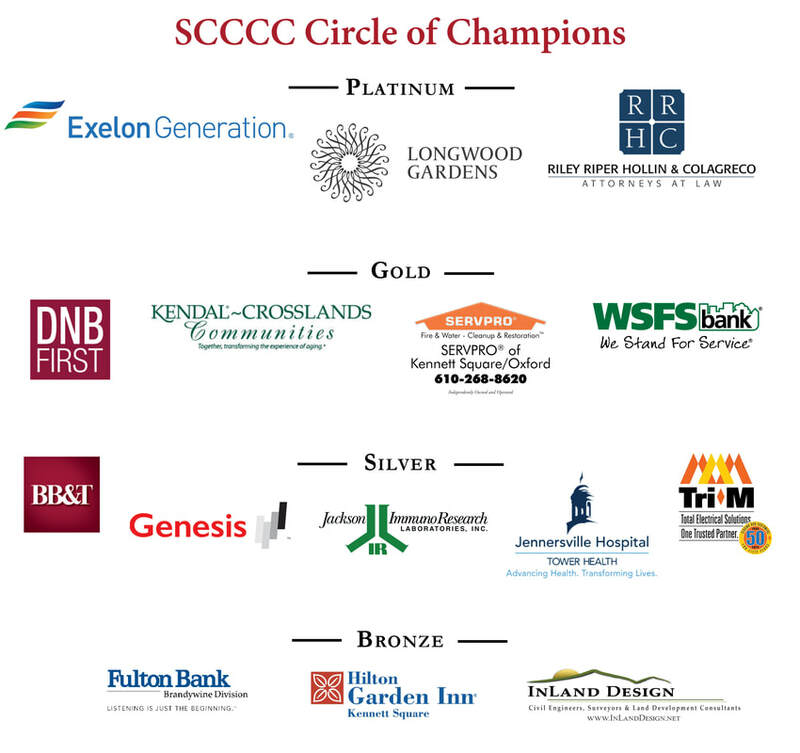 Sponsor a Chamber signature event or join the Chamber’s Circle of Champions and build your brand through a myriad of promotional opportunities. Contact the Chamber for details. SCCCC G.R.O.W., and SCCCC Oxford Area Connections (OAC). To be eligible, you must: a) Be a member in good standing of the Chamber; b) Not be in competition with another member of the group; and c) Be in a position to provide group members with legitimate pre-qualified referrals.